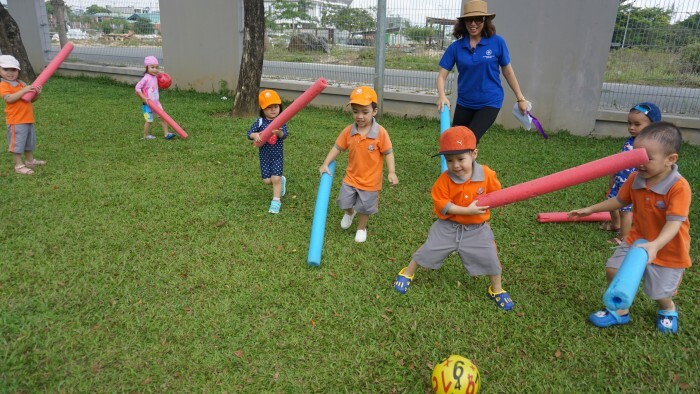 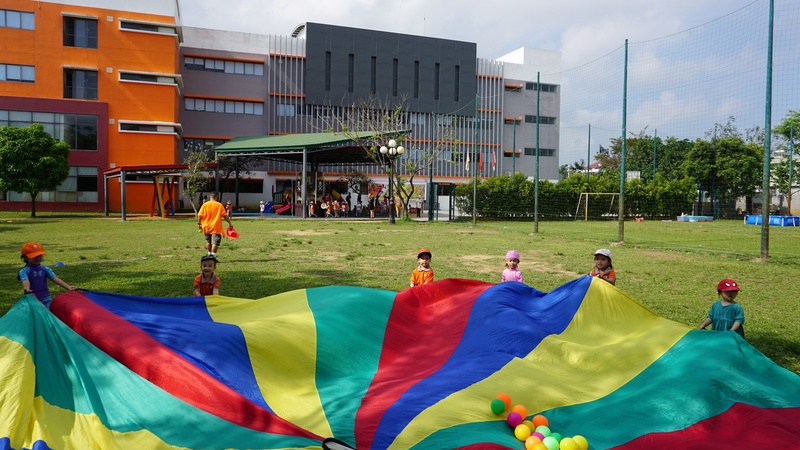 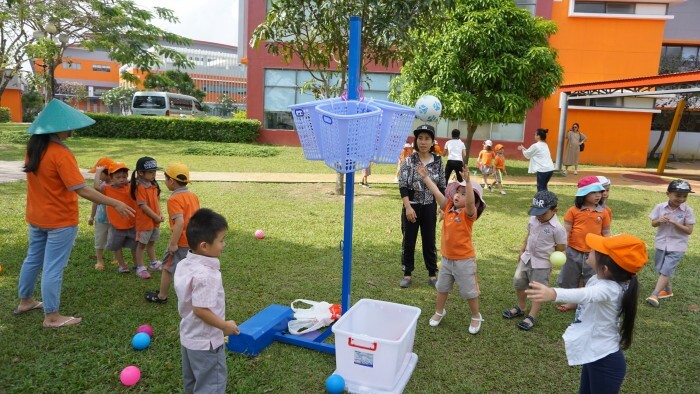 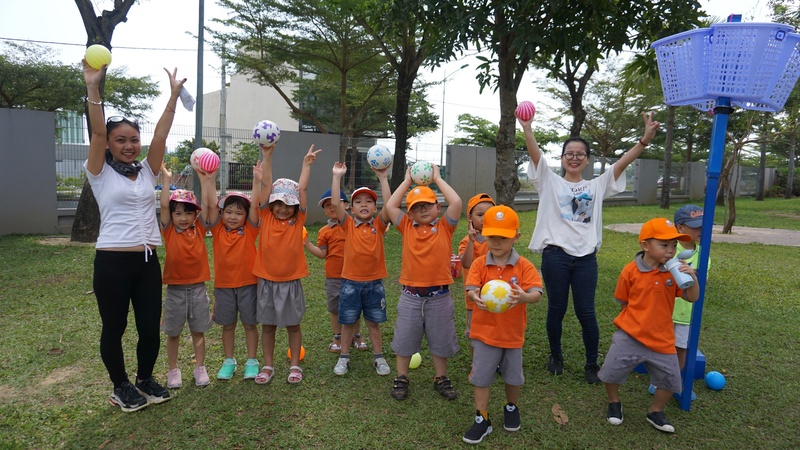 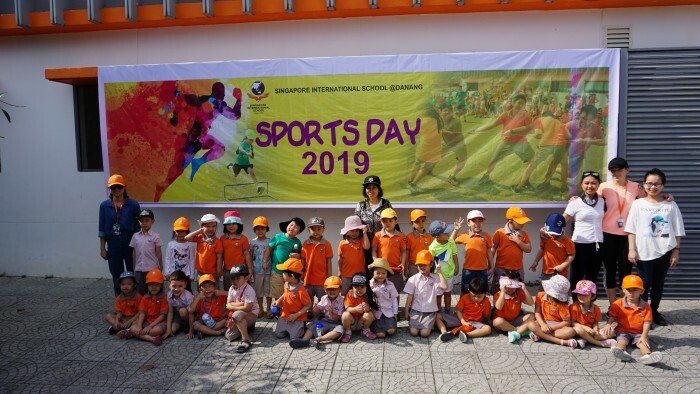 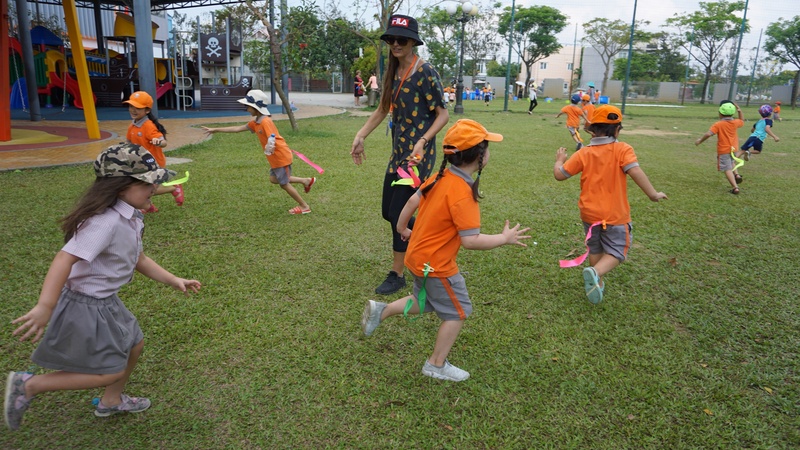 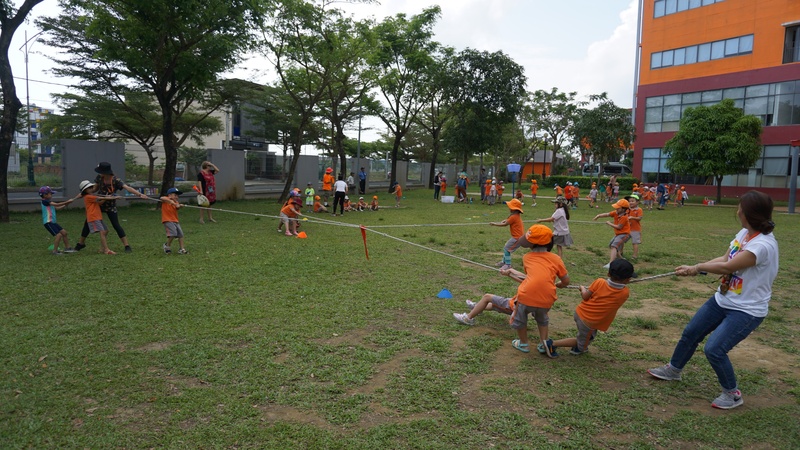 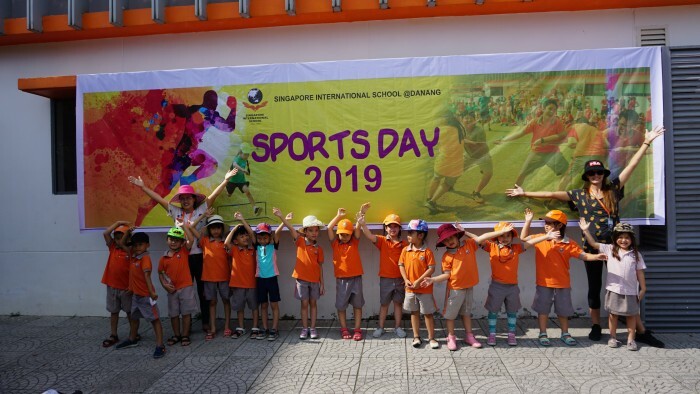 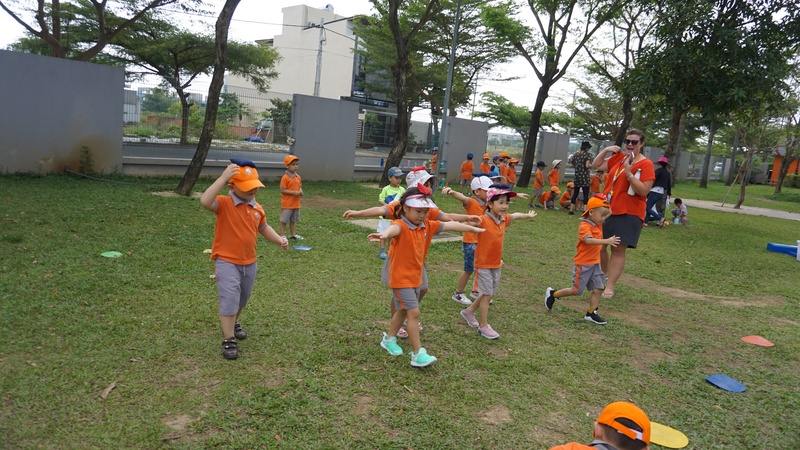 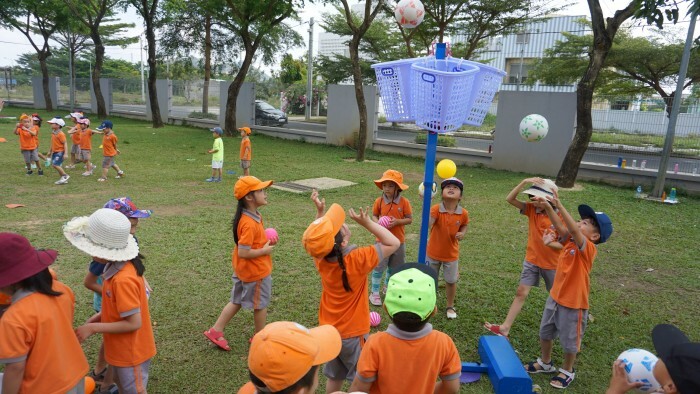 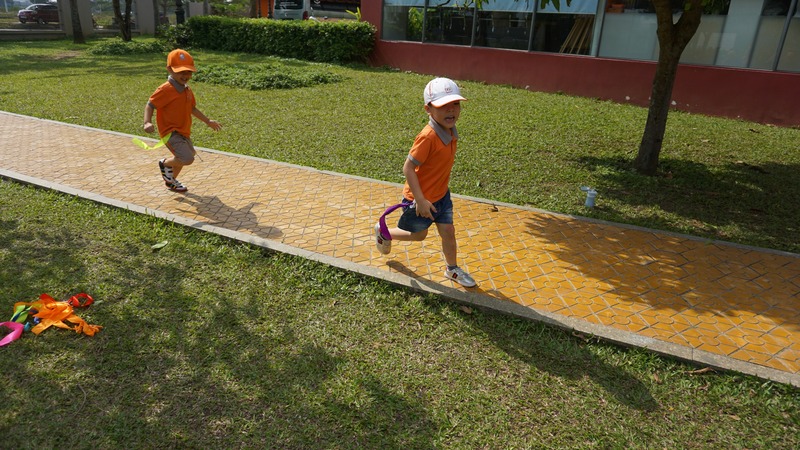 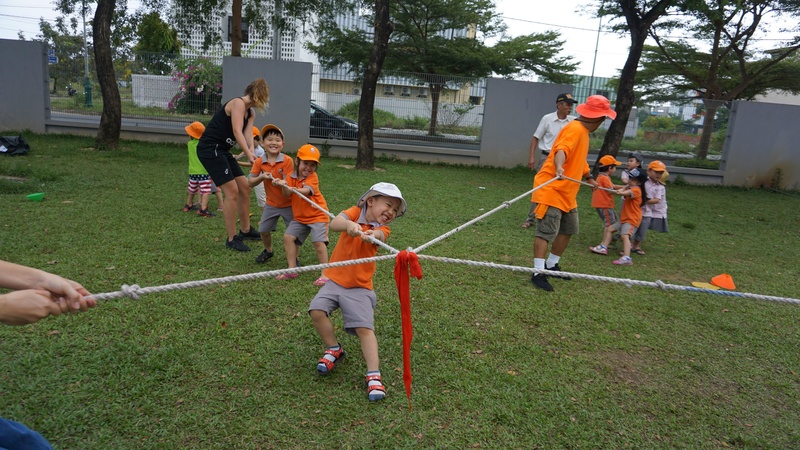 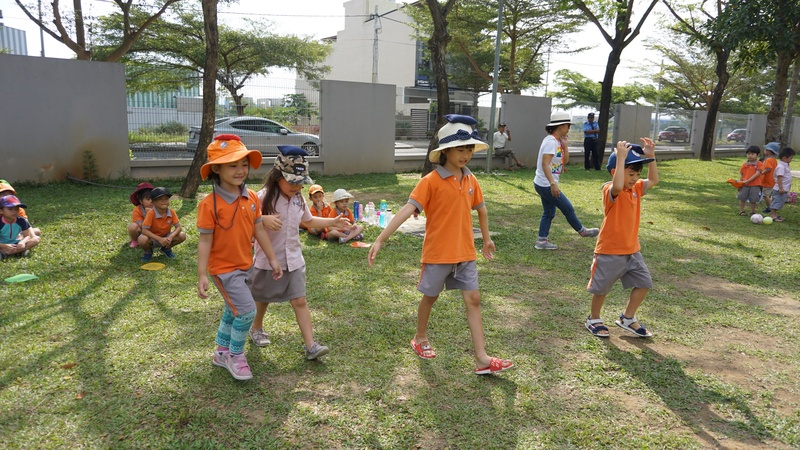 Active and healthy lifestyle was the theme of Kindy Sports Day. 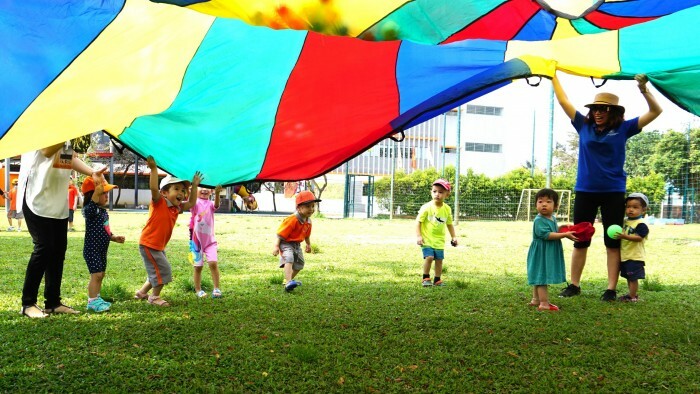 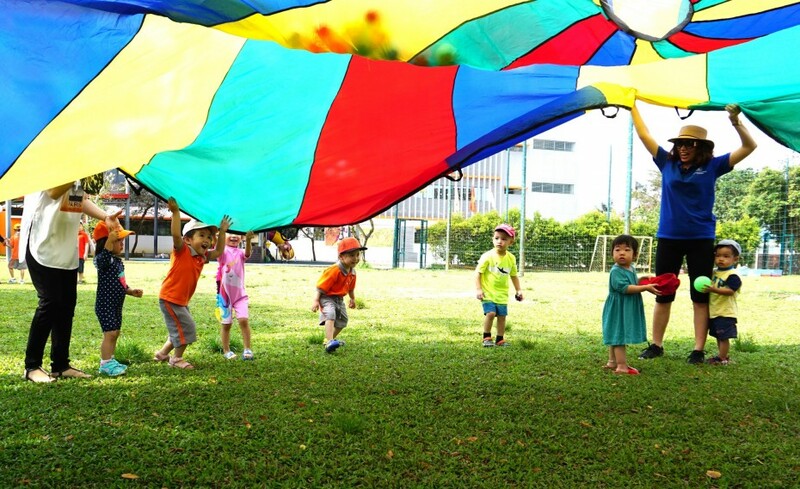 Children could develop their gross motor skills through games like noodle hockey, bean bag toss, flag tag and playing with the parachute. 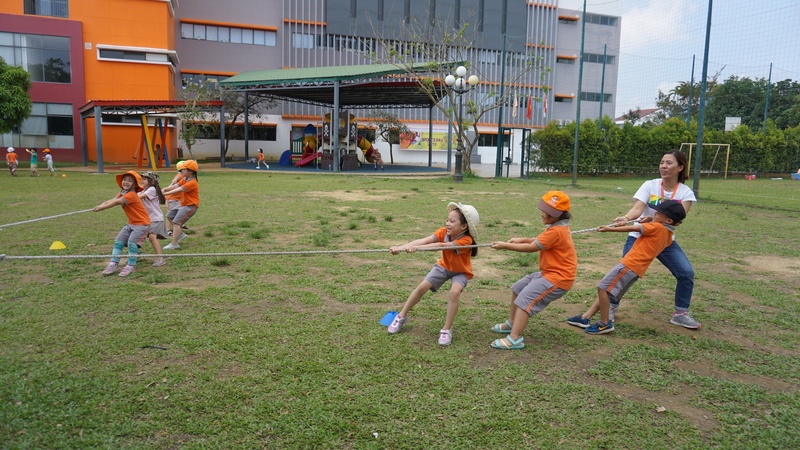 They experienced team spirit through friendly competition in relays and the tug-o-war. 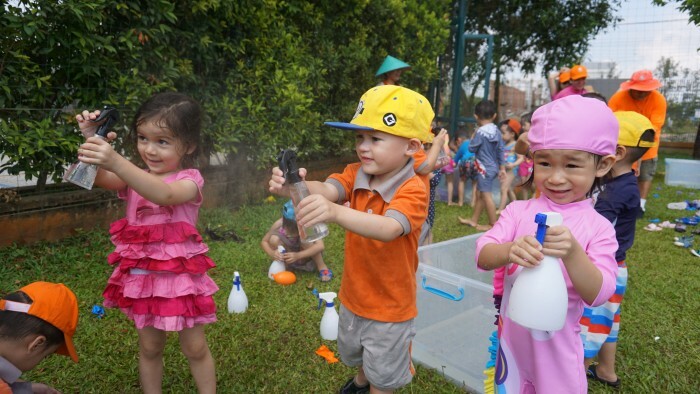 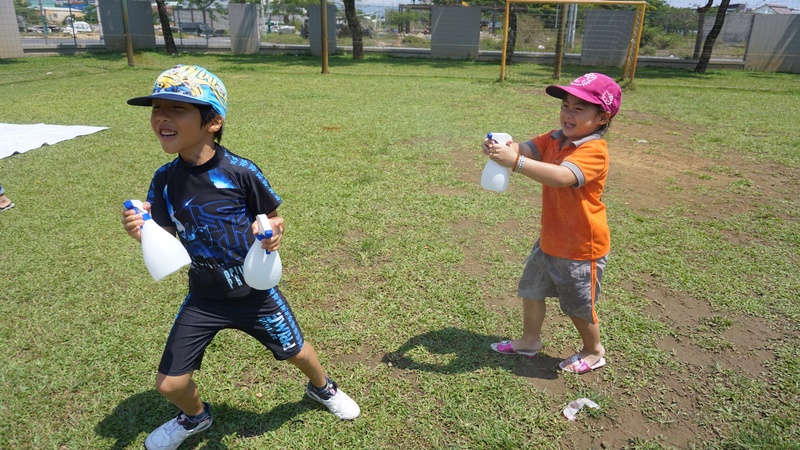 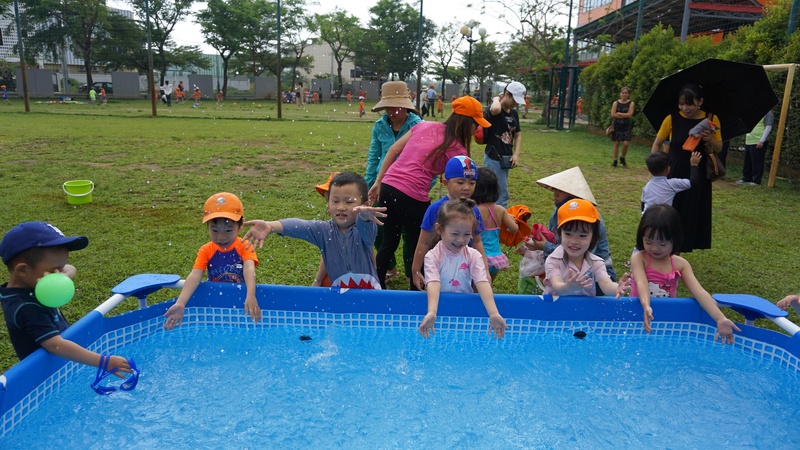 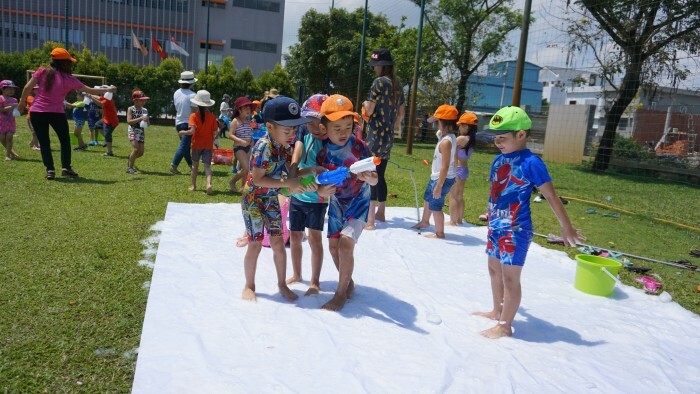 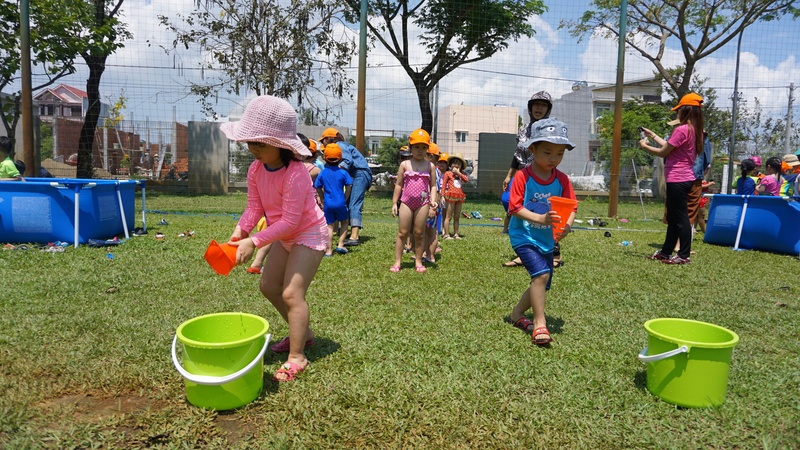 Although the children were a little bit tired, they were happy to cool off with some water play and develop fine motor schools using spray bottles and catching water balloons as well as wading and splashing in the toddler pools.